Prawns: I call the big one Bitey. We’re pretty keen about our prawns at CSIRO. We work to breed them bigger, grow them faster, and—importantly—healthier, and it all starts with what we feed them (and how they feed themselves). In fact, we’ve already developed NovacqTM prawn feed with Ridley Aquafeeds, which can help prawns grow up to 40 per cent faster. So you might be wondering: why did we recently feed our prawns a diet that included gold? A dinner fit for royalty? Simply put, gold is a rare earth metal, meaning we can detect it (and other metals such as the lesser-known yttrium and ytterbium) at very low levels using a technique called inductively coupled plasma mass spectrometry. So after mixing a tasty and nutritious meal for the prawns that included varying sizes of gold (nanoparticles from 400 nanometres in size, down to 5 nm in size – or about twice the width of human DNA), we let them at it. After food goes in the happy end, the digestible material gets absorbed leaving the indigestible and insoluble metal markers behind, and it’s this ratio on the other side that can show us how efficiently the digestible parts of the feed are being used by the prawn. But don’t think these pampered prawns were really living the high life: the level of gold in their feed was as little as 2.67 mg per kilo of feed, and we were able to detect down to less than 0.1 ng of gold in our samples. Prawn feed with a golden glow. Using the easy-to-detect nature of gold, we scanned their mess at various times and were able to see the progression of how the prawns digested their food. Paradoxically, we discovered that the prawn digestive system is able to filter out all but the smallest particles (less than 50 nm in size). Their ability to remove indigestible particles down to such a small size is quite extraordinary. 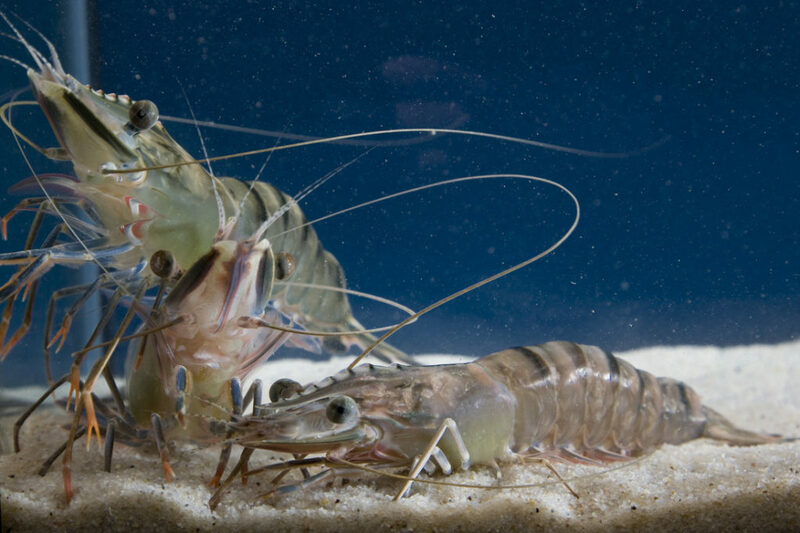 The prawns pass larger feed particles quicker—within five hours—than smaller particles (less than 50 nm in size), which are passed after more than 24 hours. 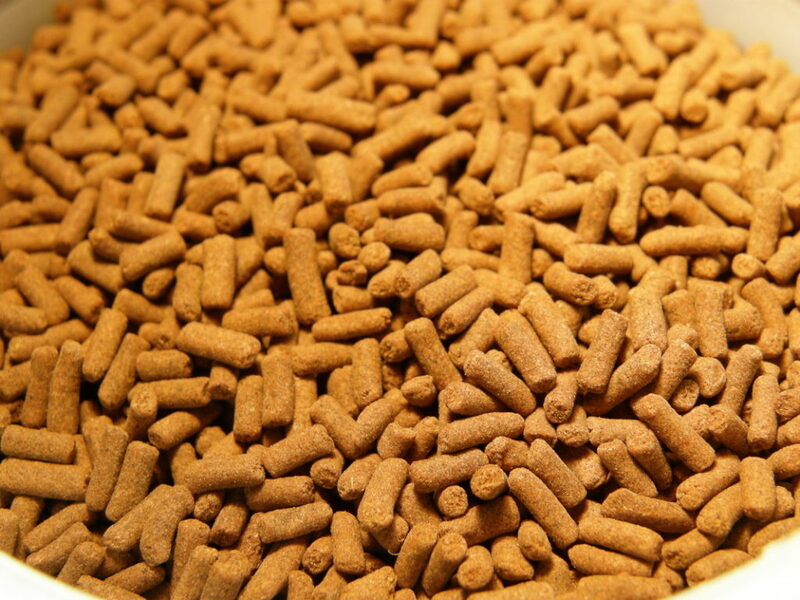 So what this tells us is that if we embed 50 nm particles containing larger amounts of functional ingredients (such as amino acids and antimicrobial compounds) within prawn feed, this could improve the prawns’ ability to retain them. We also found that prawns probably make better dinner than dinner guests. It turns out that they have rather poor table manners and are very messy eaters, losing around 20 per cent of their food as they’re chewing it. By better understanding what happens after prawns chow down, our scientists can formulate new and improved diets for our 10-legged decapod crustacean friends. Better prawn feed will help them grow faster by using dietary ingredients more efficiently and reduce the environmental impact of aquaculture. Could be good if crustaceans such as the giant freshwater crayfish, West Australian Marron, Murray crays and giant Sri Lankan freshwater prawns were also cultivated to ensure market supply and as a breeding program. Moreton Bay bugs could be another possibility.